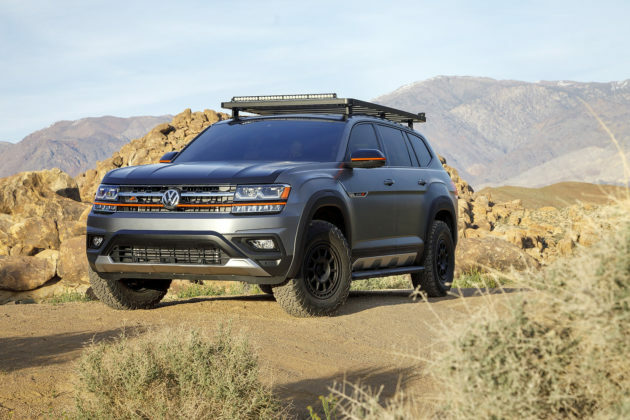 The large Volkswagen Atlas SUV is a popular family-hauler option. VWoA has created a concept for families that thrive on adventure. 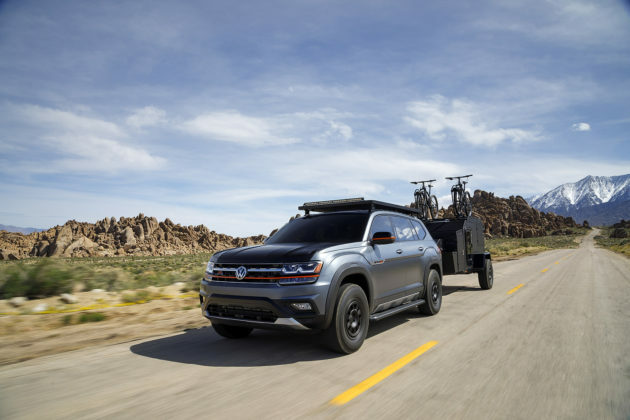 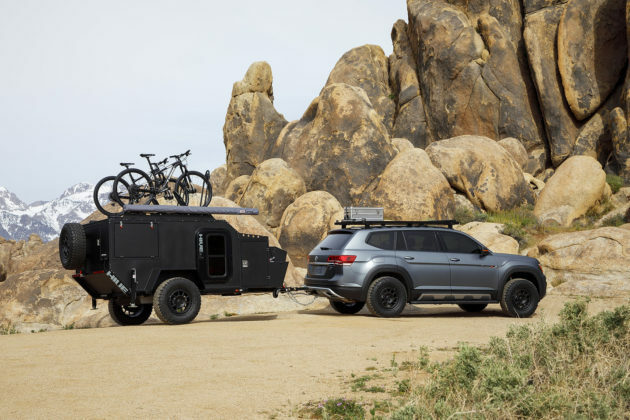 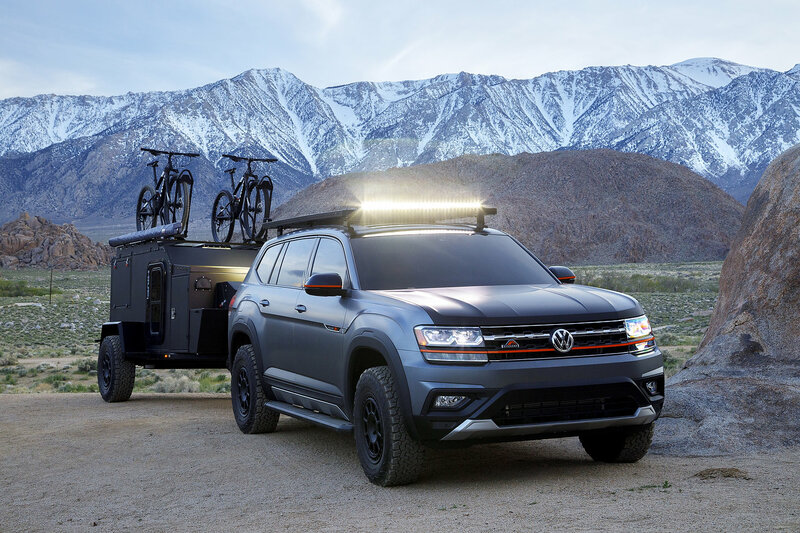 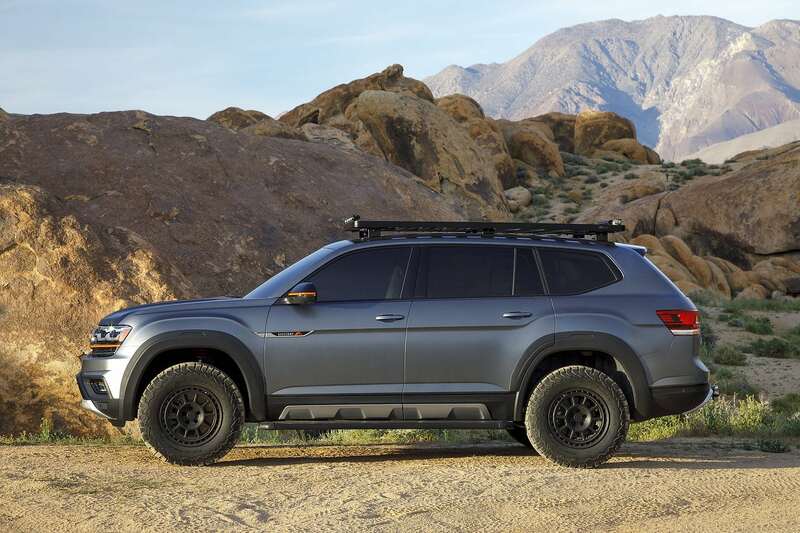 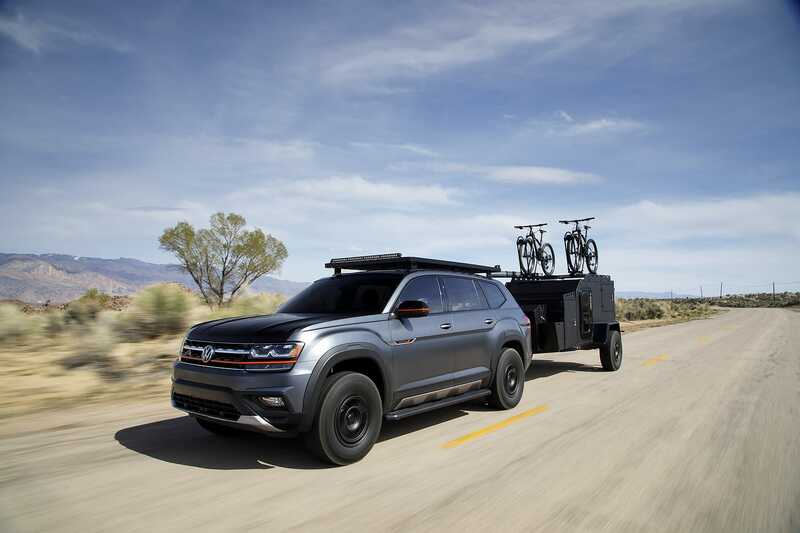 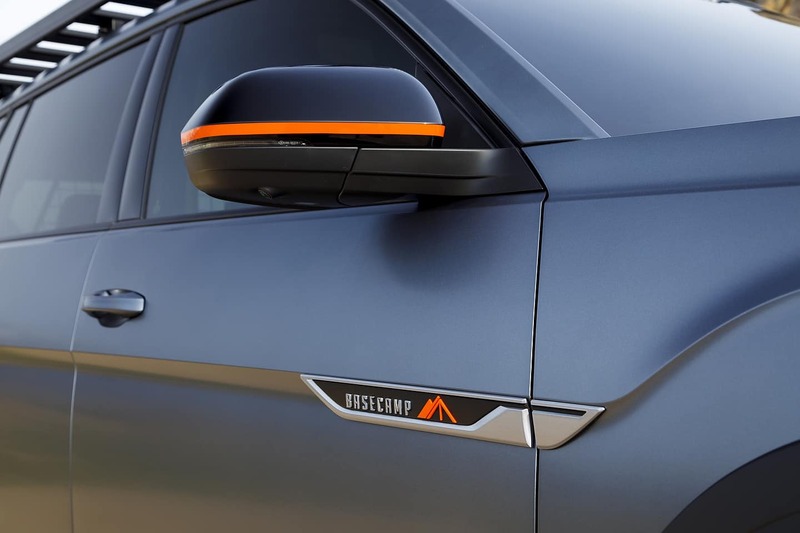 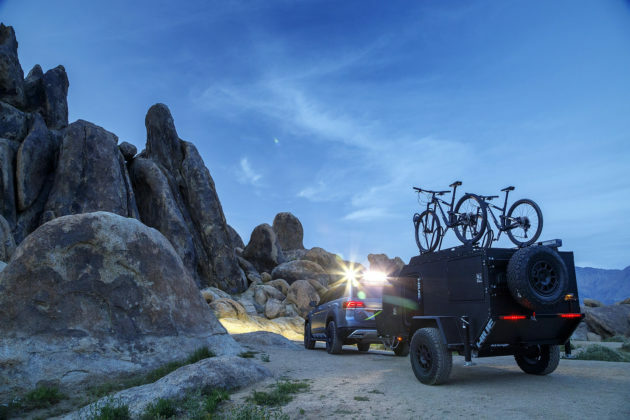 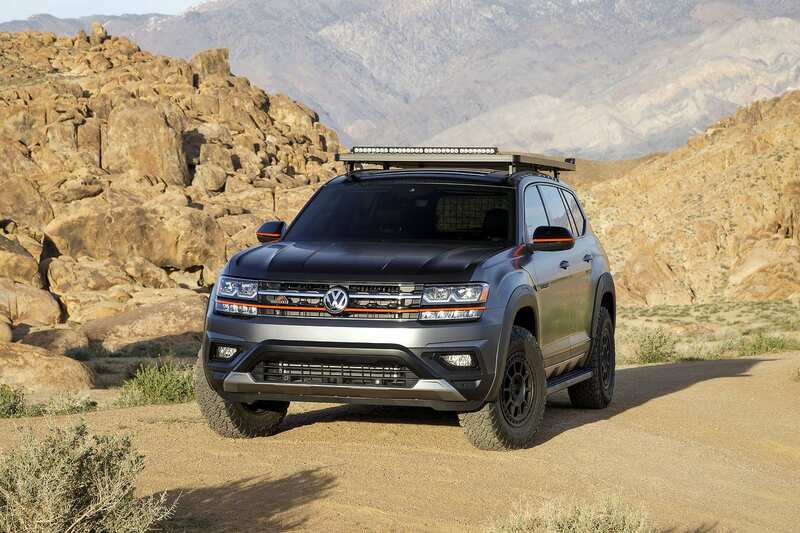 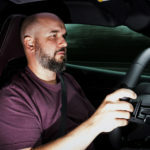 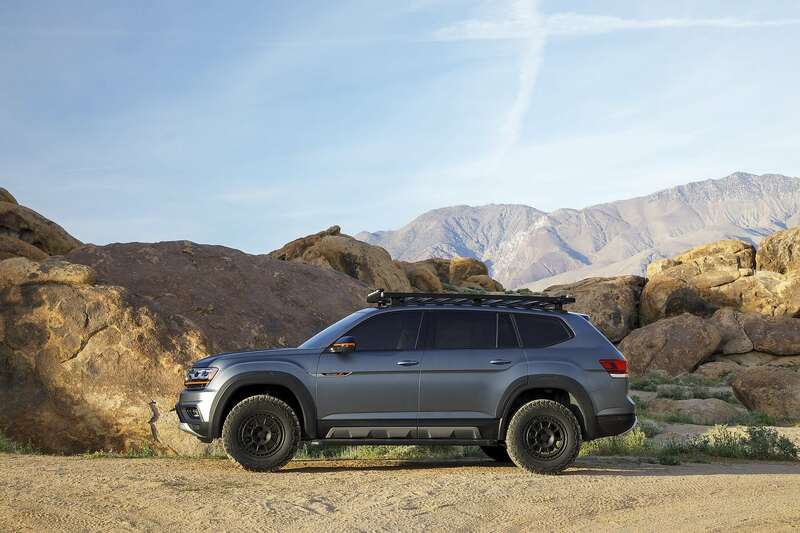 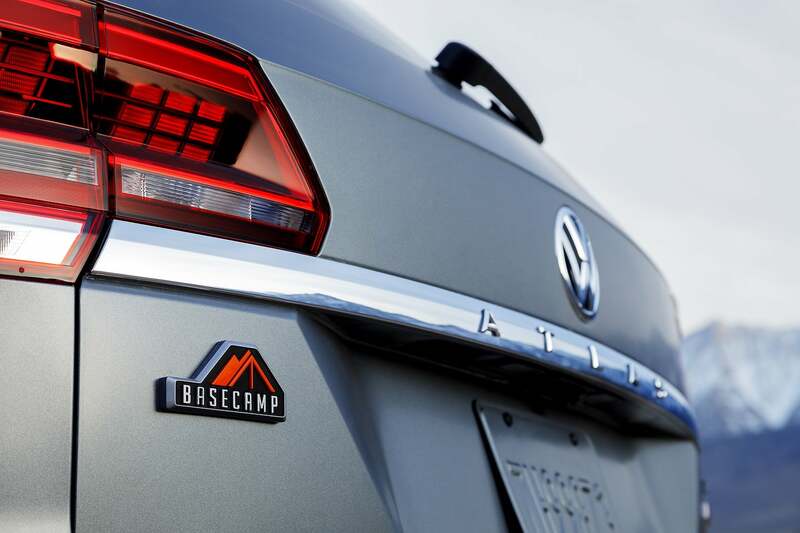 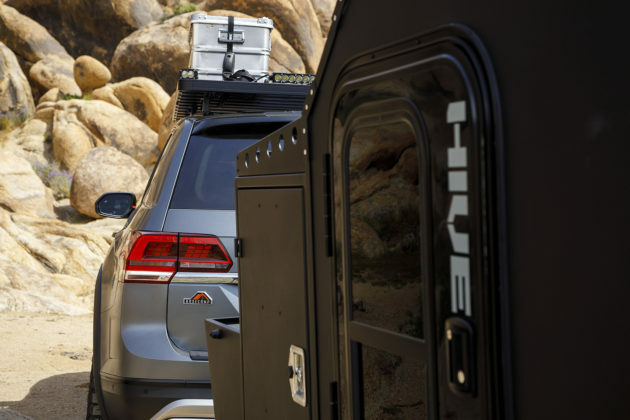 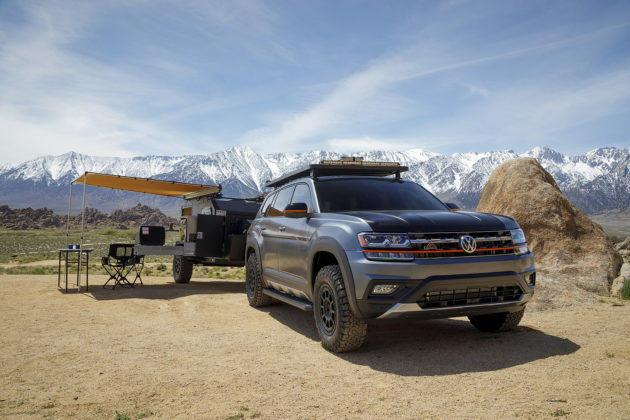 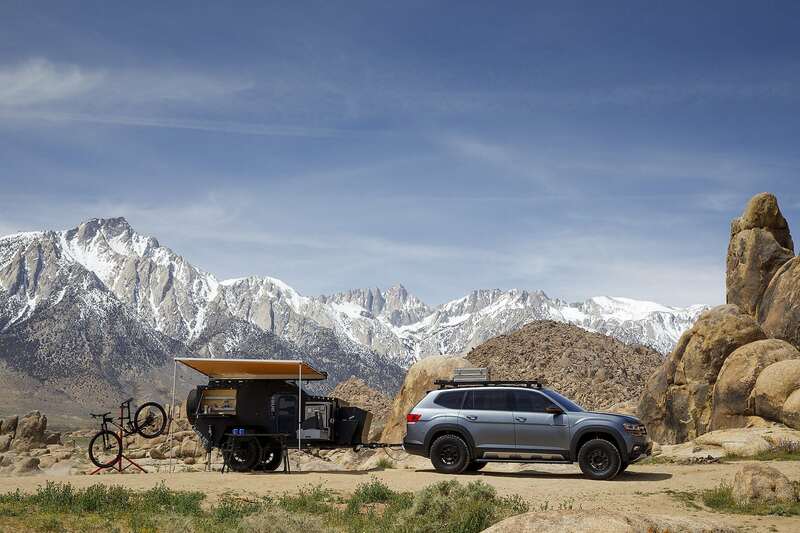 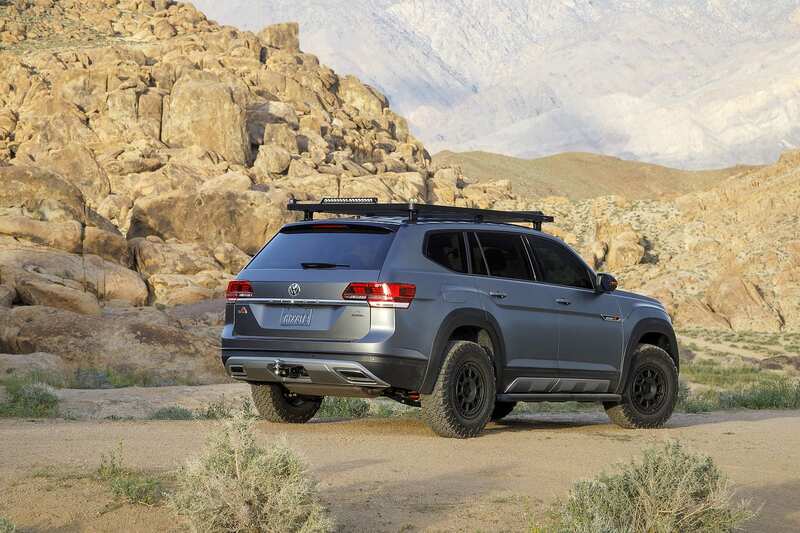 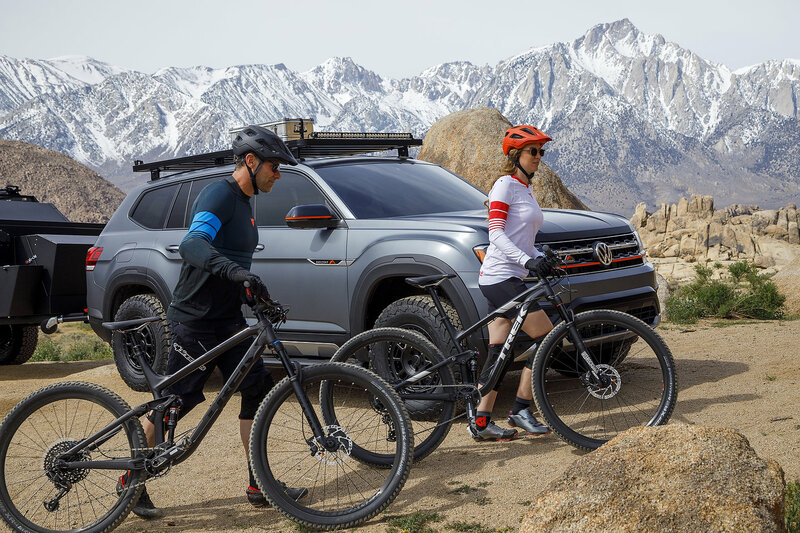 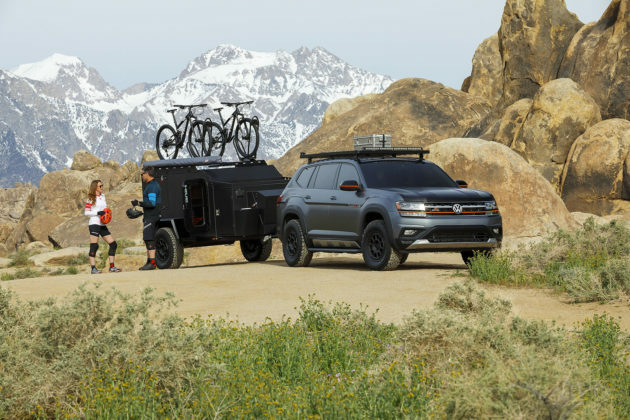 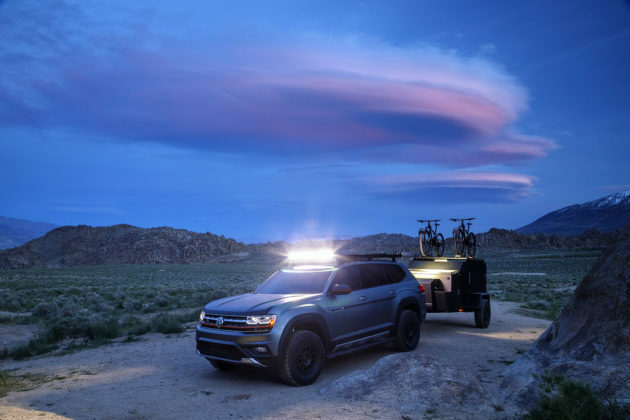 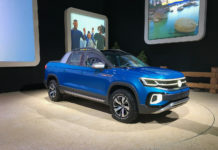 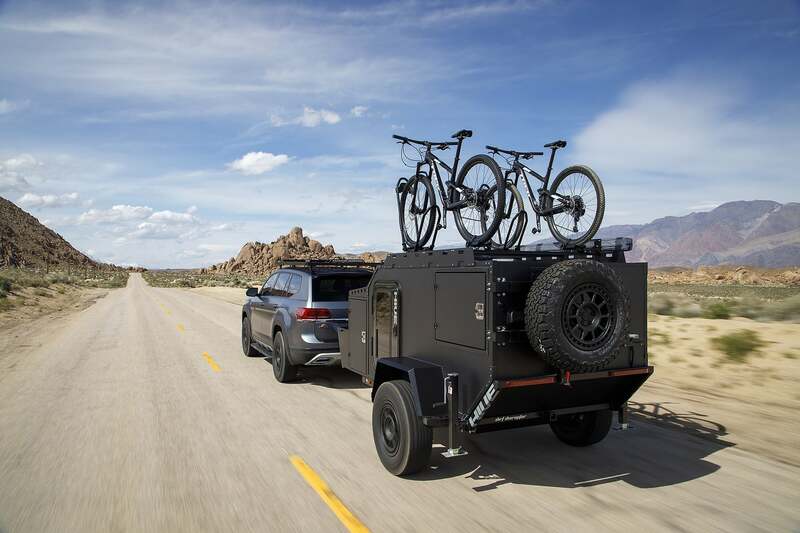 Based on a 2019 Volkswagen Atlas SEL Premium, or the equivalent of a Canadian Execline, the Basecamp concept demonstrates how cool a large urban assault vehicle can look when properly dressed to leave the beaten path behind. 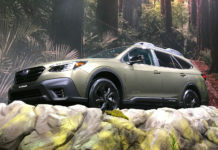 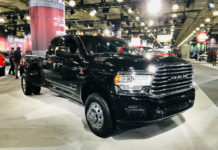 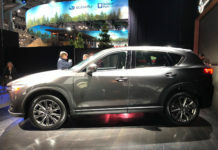 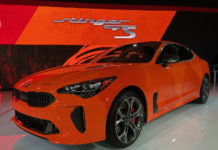 The list of added features reads like a dad’s customization wish list for what is otherwise a soccer-mom’s super hauler. 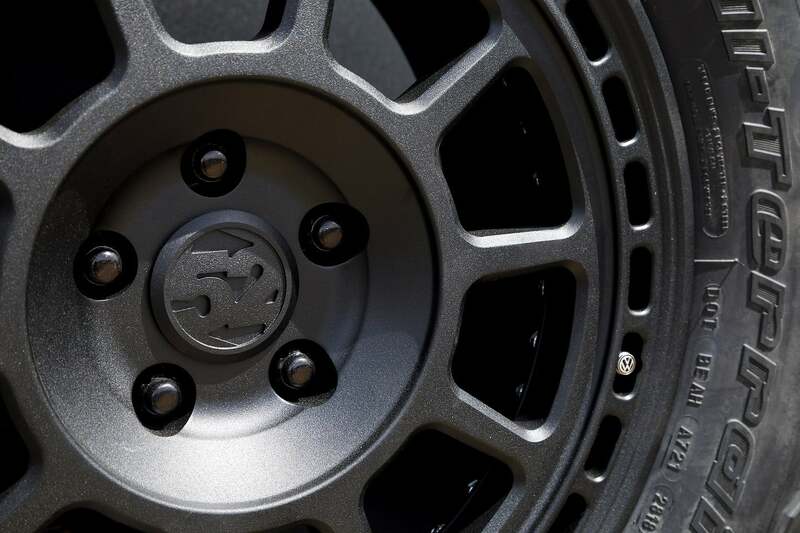 The coolest accessory is without a doubt the all-new fifteen52 Traverse MX Concept wheels which are debuting on the Basecamp and will go on sale in the fall. 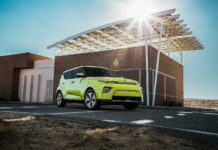 Said wheels are wrapped in chunky BF Goodrich 265/70R17 all-terrain tires which properly accentuate the otherwise timid 1.5-inch lift provided by the H&R suspension lift kit with coil over springs. 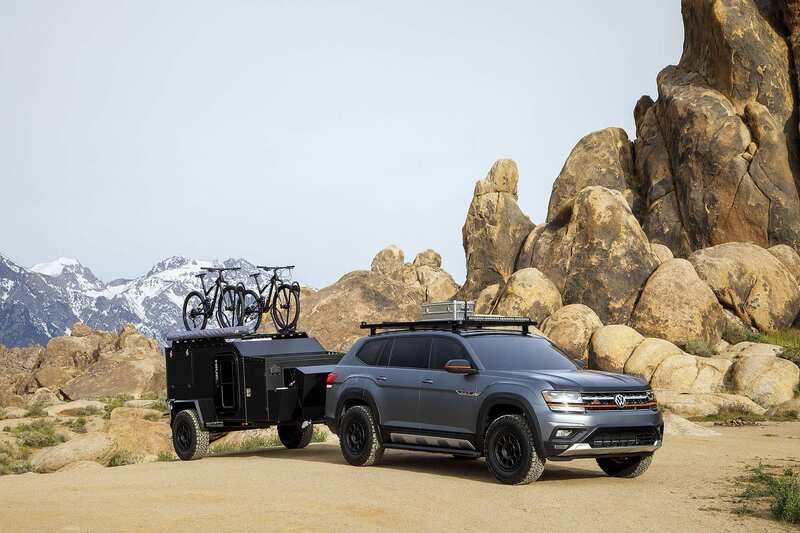 Other noteworthy accessories on the Atlas are the custom body kit by Air Design which is is painted Platinum Gray and Black Uni with a matte finish and orange accents, a Front Runner Slimline II roof rack system and front and rear off-road LED light bars. 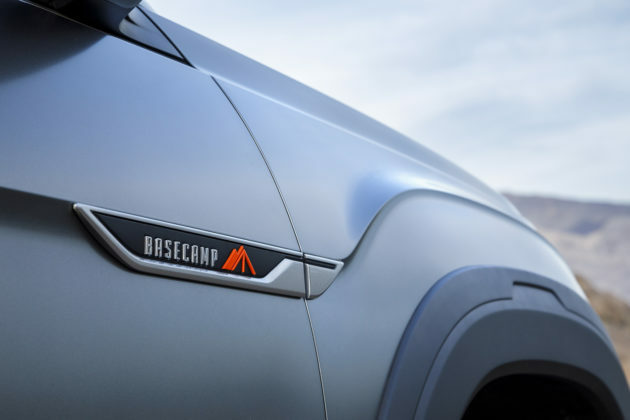 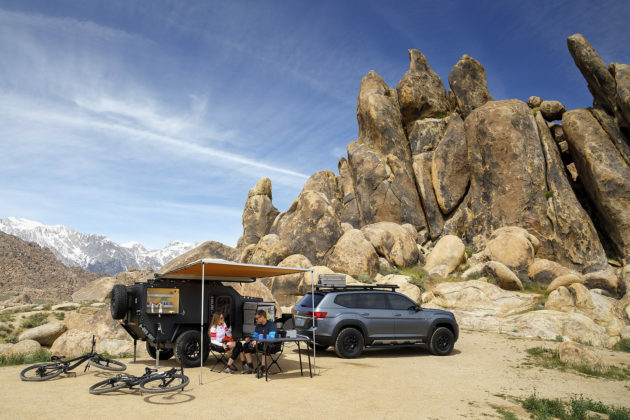 The Basecamp name refers to the off-road capable HIVE EX compact expedition camper/trailer which is equipped with a queen-size bed, canopy, and kitchenette with a stove, a sink, and a refrigerator/ freezer combo. 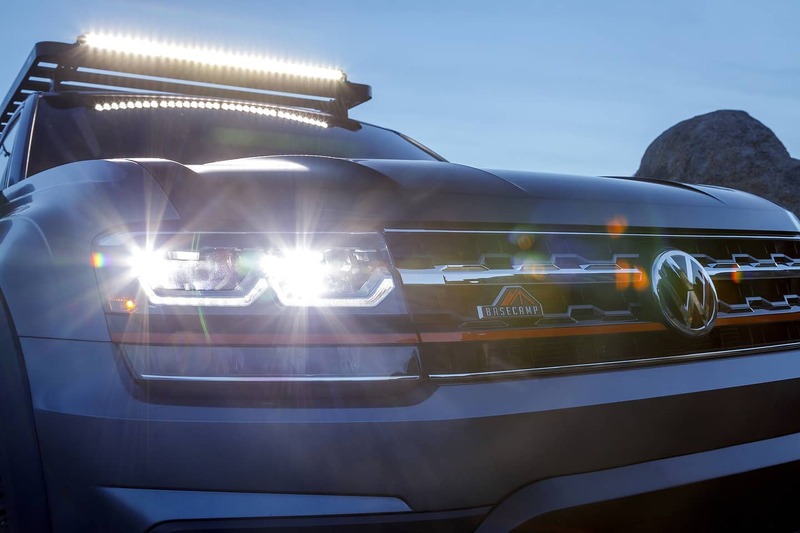 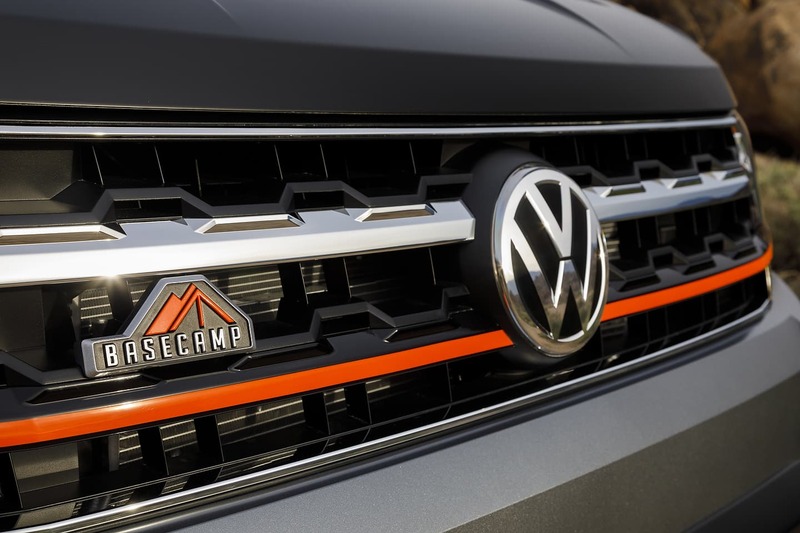 The Volkswagen Atlas Basecamp Concept will be shown next week at the New York Auto Show. 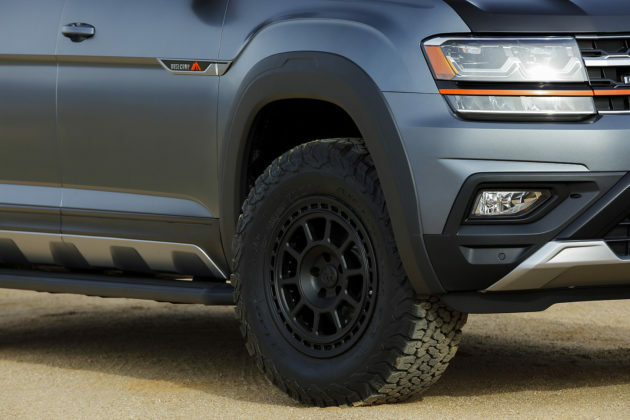 As a father of two, I would so rock this truck.